Twenty year-old Allison Brockman is proud to have many titles in her life. Daughter, sister, aunt, farmer, college student, Kentucky Cattleman’s Association regional board member. Not listed is her most recent title – one she gave herself – and that is: chicken-tender. What does the 2018 Farm Bill mean for Kentucky Farmers? It’s been a long road, but the House and Senate overwhelmingly passed the 2018 farm bill this past week. Around 80 percent of the $867 billion bill funds nutrition programs, but it also provides funds for key farm programs for the next 10 years. Farmers across Kentucky have been waiting for a moment in history that took place last week as Congress passed a farm bill that legalizes industrial hemp. Industrial hemp production will continue to be regulated but will expand beyond the past small-scale production for limited purposes. Three central Kentucky producers are building successful business models while offering fresh, local meats for dinner menus. Each one loved to farm but realized without marketing the bounty, the joy of farming would merely be an expensive hobby. They’ve succeeded in finding a variety of markets for beef, lamb, pork, chicken, turkey, duck and eggs. The position of Promotions Coordinator for the Kentucky Poultry Federation fell into Cassinda Sparrow Bechanan’s lap, she said. Her two children were getting older, so she decided it was time to reenter the workforce ten years ago. It was a great fit for this former 4-Her and University of Kentucky College of Agriculture graduate who focused her studies on communications. As my role in agriculture has changed over the years, I am able to meet more new people in our industry. Once in a while, you meet someone that gives you a clear picture of how they earned the job they have. One of those people is Ben Conner, Special Projects Coordinator at the Kentucky Department of Agriculture. Growing up with an ill uncle, Hanna Earich always new she wanted to go into the medical field, but she didn’t want to leave her agricultural roots. To incorporate agriculture into her education, she decided to study agricultural biotechnology as a pathway to get into Pharmacy school. Bumblebees dart in and out of hives inside Brent Cornett's greenhouse in rural Laurel County. Without them. Cornett, '01, would not have such an abundance of bright, red tomatoes that play a role in his family's diversified farming operation. Growing up in Louisville, Kentucky Beka Vaile was sold on becoming a zoo keeper ever since her first visit. During the month of May, farmers and ranchers across the United States celebrate National Beef Month. A time to highlight the beef industry and the people who make it great.  The Trigg County office of the University of Kentucky Cooperative Extension Service is helping one young man fulfill his dreams. It is springtime in the Bluegrass and throughout the Commonwealth there is anticipation for this weekend’s Kentucky Derby. That is what brought Erin O’Keefe, Customer Relations Manager for Millenium Farms, to Kentucky. It is Time for the Call to the Post! The Kentucky Derby is one of the oldest traditions in the Commonwealth and with the Run for the Roses comes excitement, anticipation, and plenty of yummy food. A picture is worth a thousand words, and for Emily Goins capturing some of cattle showman’s best moments is a privilege for her. While growing up in the suburbs of Louisville, the closest Matt Hilton ever got to agriculture was at the grocery store shopping for food. That wouldn’t last for long though as Matt was hired 11 years ago to be a video coordinator for Kentucky Farm Bureau. With the onset of spring, many kids and adults alike love to grab their rod and reel and head to the lake, a creek, or a pond and go fishing. Black vultures are a concern for livestock producers throughout Kentucky, particularly this time of the year, as they can kill newborn calves and other juvenile livestock. University of Kentucky College of Agriculture, Food and Environment faculty and staff are working with Kentucky producers to find low-cost, legal options to control these birds and prevent livestock losses. Agriculture has run in Elizabeth Riley's blood since she was born. Raised on a sheep and goat farm in Hopkinsville, Kentucky by her mother who is a 4-H agent, she knew her path always involved agriculture. Adam has been KyCorn’s program director for 11 years, where he manages the association’s membership, market development, and farmer leadership programs. He also organizes and mobilizes KyCorn’s grassroots base, which means he encourages farmer members to get involved in policy issues and public affairs.